Copenhagen enjoys something we don’t have much of here in the United States: district heating. District heating is a service whereby hot water is delivered to homes and businesses, much like public water supplies are delivered here in cities and towns. Where it’s possible to implement a district heating utility, the savings and efficiencies are nothing short of remarkable. Copenhagen’s main district heating distributor, CTR, serves much of the area, and does so at very high levels of efficiency. For example, imagine two identical areas with 250,000 homes, each of which demands 18,389TJ of heat annually. Area “A” uses what we’re familiar with: homes with oil-fired furnaces providing heat and hot water. Let’s also assume that each and every furnace runs at 90% efficiency (this would be a reasonable assumption if all furnaces in the area were all new, high-efficiency models…which many in the US are not). Area “B”, however, will opt for a district heating strategy, with no individual furnaces. 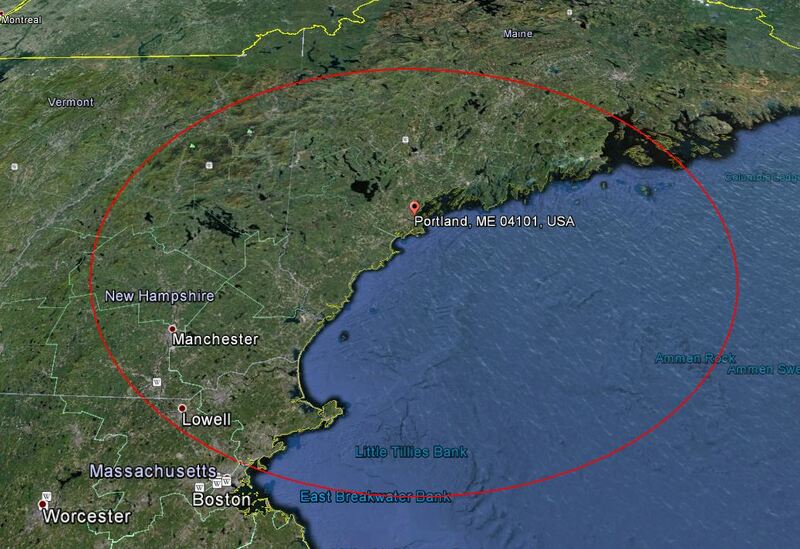 Moreover, unlike most of Denmark (and all of Copenhagen), Maine is located predominately on bedrock. This would make installation of the hot water mains much, much more expensive than the Copenhagen installation. In short, while district heating makes a great deal of sense in Copenhagen, Maine would be hard-pressed to benefit from a similar system. Major cities in the US should consider such a system, as they have the requisite population density and subterranean utility infrastructure which would meet installation and efficiency goals. Image | This entry was posted in District heating. Bookmark the permalink.